Achieve real smoky flavor with your gas grill when you use this smoker box! With a unique V-shape to fit under the grate and between the flame deflector bars of most gas grills, these grill boxes are crafted from durable, rust-resistant stainless steel and are backed by an industry best 5-year guarantee. Simply soak wood chips in your liquid of choice, drain and place in the smoker box, place the box in your gas grill and grill as usual, then sit back and enjoy the richly flavored, smoked results! The long smoker box measures 5”x6¼”x2, and short smoker boxes measuring 5”x6¼”x2” are also available. 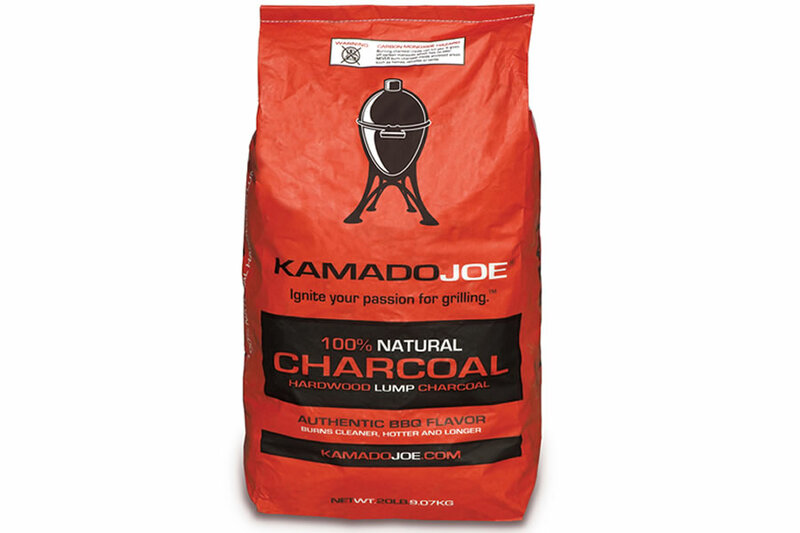 This is the charcoal you need for your Kamado Joe Grill. Made from 100% natural blend of hardwood trees like oak, hickory and maple without any chemical additives or fillers, it will let the pure flavors of your food shine through while adding that unmistakably rich, earthy smokiness only available from real lump charcoal. Burns cleaner, hotter and longer, meaning a lower cost per use. Comes in a 20 lb bag.